And that's just from January to March. Most of us anticipate end-of-season sales to score a few bargains, but that's hardly a concern when you're one of the most photographed women in the world. Just take the Duchess of Cambridge, who recently found herself the subject of new ~*research*~ by the people at What Would Kate Do?. The blog made it their mission to calculate all the designer additions to Kate's wardrobe from the beginning of the year to March 2017, and the result is mind-blowing. According to WWKD, the Duchess has amassed £57,347.50 (P3,535,750) in clothes during these three months alone—a figure that's slowly but surely creeping up to 2016's grand total of £174,170 (P10.7 million). Just how did we get to that staggering number? Well, you have the world's top designer houses to blame. According to the blog, the Chanel tweed coat dress she wore in Paris is £8,350 (P514,817). Meanwhile, the floral Alexander McQueen gown she debuted at the 2017 BAFTA Awards is £7,765 (P478,749). 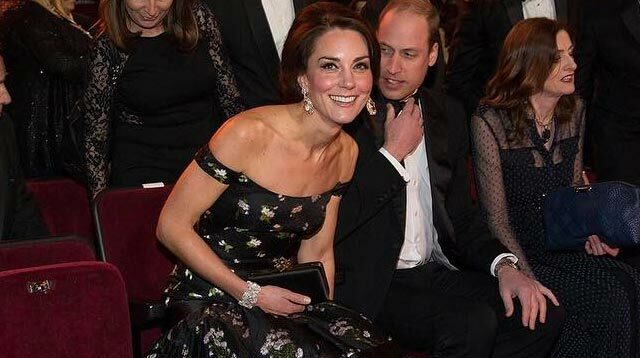 Let's not forget this embroidered gown by one of her favorites, Jenny Packham, which retails for £4,155 (P256,224). And these £8,900 (P548,727) tourmaline and amethyst earrings by Kiki McDonough. Or how about this floral dress by Erdem? It's slightly less expensive at £1,500 (P92,482), but hey, you can't win it all. Meanwhile, in related stories, this Kate Middleton wannabe has spent around £7,000 (P432,666) to recreate some of the Duchess' outfits.